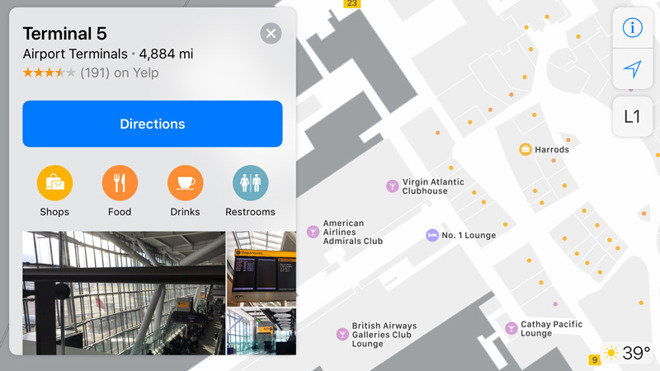 Travelers can use their iPhone to find things like gates, baggage, bathrooms, security checkpoints, and various shops and restaurants. Only some of these items are visible on a paired Apple Watch, however. 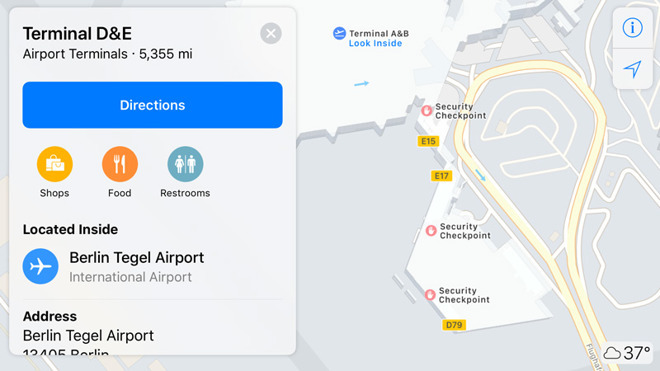 Apple has been gradually adding airport maps since this summer's iOS 11 betas. Until recently the company was concentrating on the U.S., adding terminals in cities like Chicago, Miami, Las Vegas, and San Jose. More airports have been promised, but major hubs like New York's JFK and Toronto's Pearson still have only partial details.